What should a museum be? Should it be a collection of the world’s masterpieces accumulated in great cities? Should it be a smaller museum devoted to showing the history of a region, town or culture? We think a lot about these big questions around here by responding to questions like ‘Who Owns Antiquity?‘ or what does property and justice require when resolving art disputes. But in a new project Alain de Botton and John Armstrong have made the case that art can and should be more. Their argument is simple: art can help people leave more interesting and fulfilled lives. Art History as a discipline has much to offer, but the authors argue it should not be the only way to enjoy and experience works of art. Rather than focusing on art historical periods and dates, we can also think more broadly about how the image resonates with the viewer. That’s a bold claim to be sure, but the attempt is exciting and novel in a way that few art museums are able to achieve consistently. De Botton is known for a string of works including: How Proust Can Change Your Life , The Architecture of Happiness, Religion for Atheists, and the terrific The Art of Travel. The project takes many forms including a website, apps for your phone, a book which makes the full case, and even a new exhibition at the Rijksmuseum. The exhibition intervention takes the form of large yellow notes which inform and comment on the works on display. 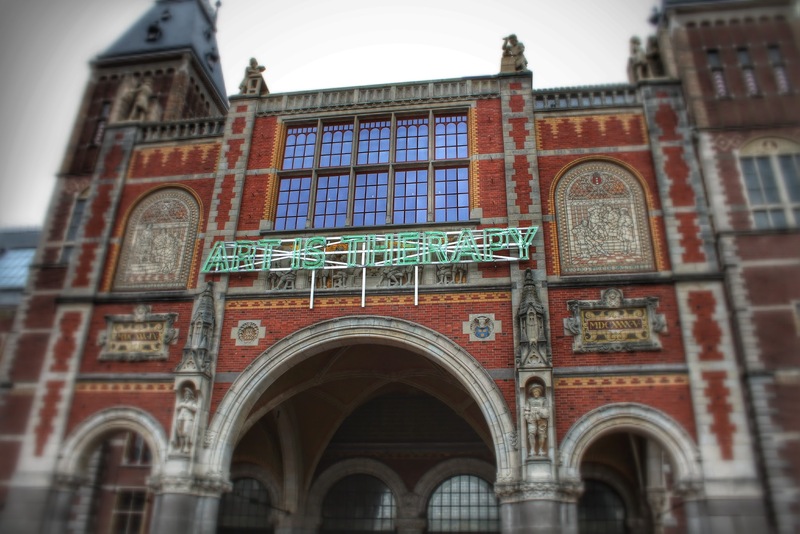 Perhaps most remarkable of all, the Rijksmuseum gave these writers access to intervene in the museum on this scale after a lengthy restoration. On the wall behind you, probably behind three rows of people, hangs one of the most famous works of art in the world. This is bad news. The extreme fame of a work of art is almost always unhelpful because, to touch us, art has to elicit a personal response – and that’s hard when a painting is said to be so distinguished. This paintins is quite out of synch with its status in any case because, above all else, it wants to show us that the ordinary can be very special. The picture says that looking after a simple but beautiful home, cleaning the yard, watching over the children, darning clothes – and doing these thngs faithfully and without despair – is life’s real duty. This is an anti-heroic picture, a weapon against false images of glamour. It refuses to accept that true glamour depends on amazing feats of courage or on the attainment of status. It argues that doing the modest things that are expected of all of us is enough. The picture asks you to be a little like it is: to take the attitudes it loves and to apply them to your life. If the Netherlands had a Founding Document, a concentrated repository of its values, it would be this small picture. 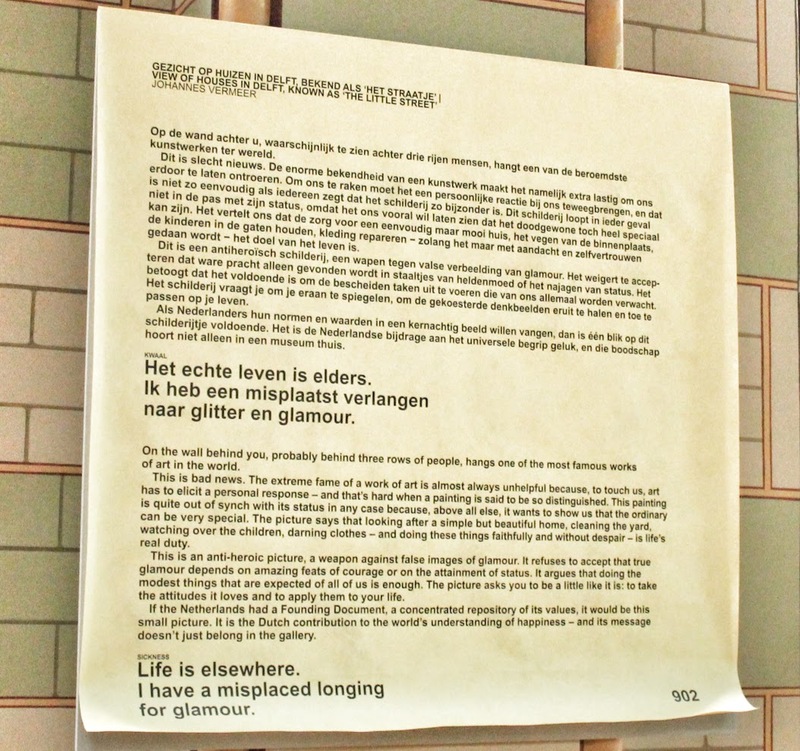 It is the Dutch contribution to the world’s understanding of happiness – and its message doesn’t just belong in the gallery. I have a misplaced longing for glamour. This note resonated with me, and I’m sure many others. How strange that sometimes it is easier to achieve the kind of personal connection to a work of art via technology than fighting cell phones and fellow museum-goers. 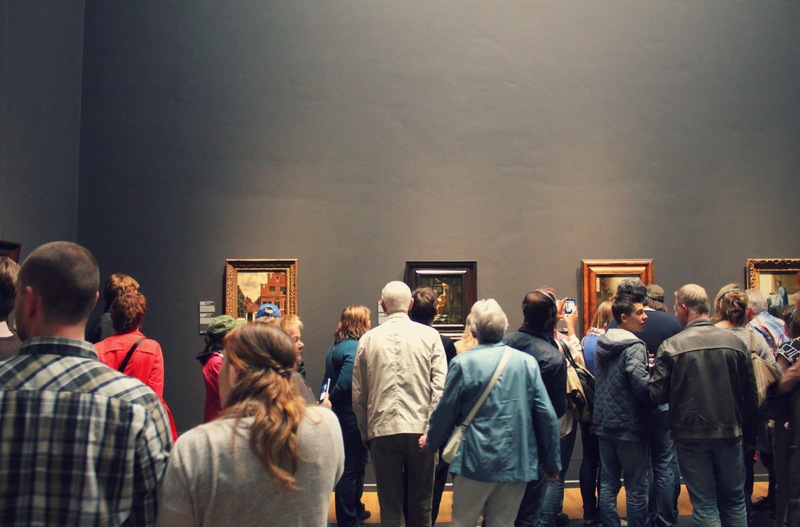 One of the chief criticisms of de Botton and Armstrong’s work is that it treats museumgoers as too simple, too unable to achieve these kind of relationships with the works of art they view. This is a valid critique, but one I didn’t experience on viewing the interventions at the Rijksmuseum, or when I read the book. Instead I left thinking about how we think too narrowly about what museums are, and what they can be. They certainly do not have to aspire to being mere treasure houses, or dry history lectures. Instead, we can think whatever we want about a work of art or a museum experience, and that idea is democratic, almost punk in a terrific way, and for me very exciting. Because I don’t think I’ll ever view art museums in the same way again. I find myself know when viewing works of art, to think about what emotions the art can illicit. It’s not for everyone of course, but neither is every work of art. I enjoyed very much the newness, the thoughtfulness, and the sense that everyone’s reaction to art can be valid and fulfilling, they just need to. I expect some local and regional museums to perhaps start thinking about the wall panels and their composition to generate similar interesting reactions. 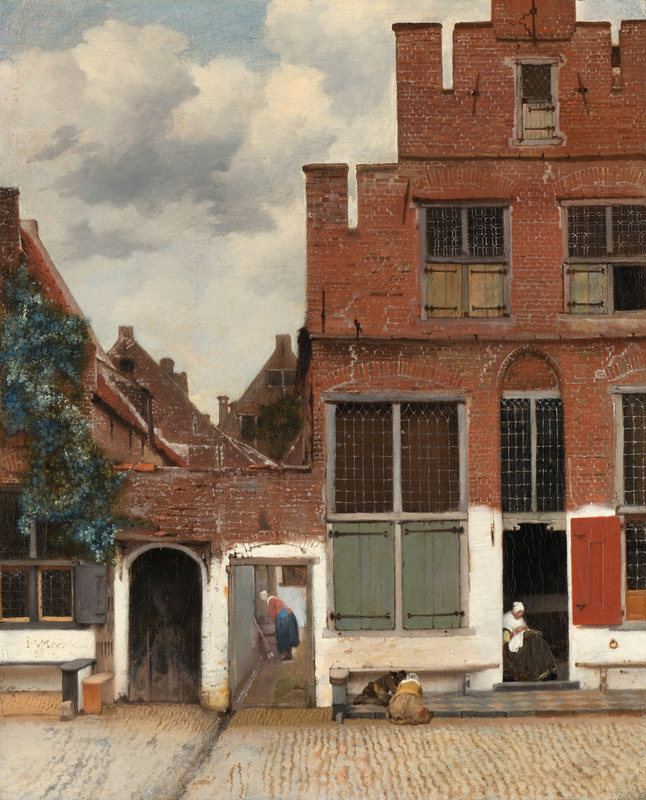 The Rijksmuseum intervention lasts until September 7; and another intervention is currently open at the Art Gallery of Ontario until April 26, 2015. Next Next post: Stolen art found in commercial storage?